As part of a contemporary nursing education, students deserve a space of their own where they can study, work together, share advice and take a break in the short time between classes. Right now, most nursing students find study space in the hallways and stairwells. More than a brick and mortar project, the College of Nursing Student Commons is an investment in student success, opening doors to an inviting and flexible space where important group work and professional interaction can take place. 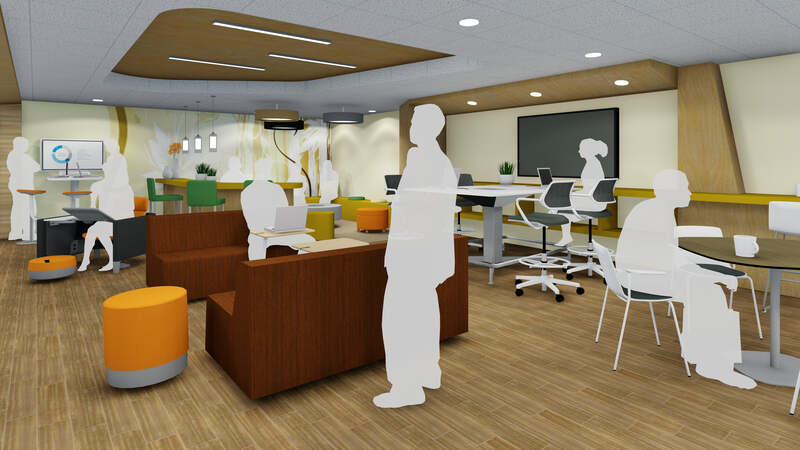 With its home on the third floor of the Cohn Building, the commons will have different areas — or neighborhoods — suited for different purposes, with the design features and technology that students need to thrive in a modern educational environment.